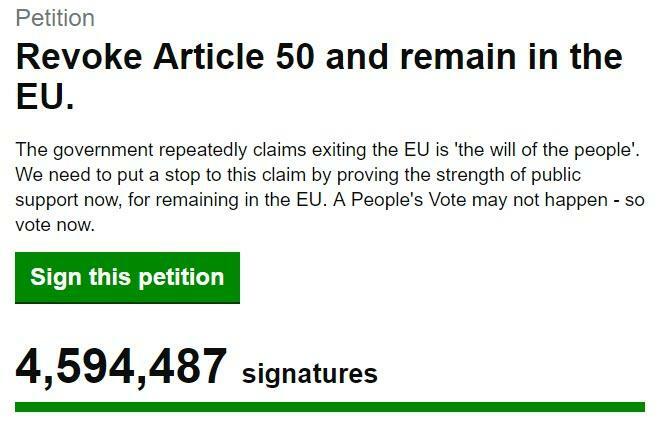 Please consider 'Cancel Brexit' Petition Tops Record 4 Million Signatures, Crashing Website at Least Twice. 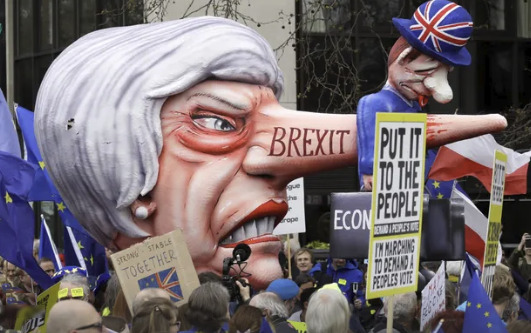 The call for Prime Minister Theresa May to revoke Article 50 is now one of the most popular petitions ever on Parliament's site, surpassing 2016's petition calling for a second referendum on Brexit and crashing the site early Thursday morning as traffic spiked. In order for Parliament to take it up for debate, a petition has to collect more than 100,000 signatures.